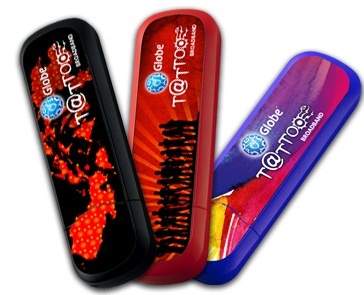 The moment Globe Telecom has abused its Fair Use Policy for its mobile unlimited internet service – Globe Tattoo Broadband Super Surf – I knew someday my unwavering loyalty to Globe will falter. Last month I finally gave up on it and transferred to Sun Cellular’s Easy Broadband. So far things are good under a different internet service provider, but there are times that I really miss being a prepaid Tattoo subscriber. SuperSurf uses Php220.00 of phone balance or load to be activated for 5 days. 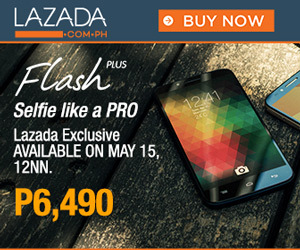 Using Globe’s virtual cash system – GCash – I can buy the needed load amount with a 10% rebate. Sure when you do the math, Easy Broadband is still cheaper (only P799.00 per month). But I can use the rebated amount for my calls and SMS messages. Aside from the rebate, Globe also rewards points to subscribers when buying load. The points can be used to claim prizes such as phones, cameras, etc. I’m actually 150 points short of claiming movie tickets for 4 but I can’t reach that amount anytime soon since Super Surf was my main reason to frequently buy load. I also miss the 20 free SMS messages that came along buying Php40.00 load. Since the 5-day internet subscription costs Php220.00, I buy Php40.00 of load five times (plus the remaining Php20.00), giving me as many as 100 free SMS messages every time I subscribe. It’s not just the freebies and the loyalty points, I miss the torrent speed too. Easy Broadband may reach as fast as 2 Mbps kbps but that’s only for browsing and direct downloading. I noticed my torrent download speed won’t go beyond 40 kB/s. Whereas on Tattoo, the torrent speed could reach as fast as 100 kB/s kbps during peak hours, and even 250 kB/s during off peak hours.